In recent research conducted by Talent Smart, it was established that only 2% of the population can or will realize their potential without the information that you are going to learn in this webinar series.This includes intentionally making career and job decisions, interpersonal skills and awareness, confidence, leadership and relationship success. This learning opportunity equally applies to you the career development professional, as well as the clients you serve so these sessions are of double benefit. You will learn the importance of Self-Awareness and why is it core to any successful career process, development or growth – change is not possible without it. Ken unravels the Foundational Knowledge of Personal Style and it is not what most think! You will study your Personal Style Patterns and how they influence every choice, career decision and interaction you make with others and your environment. Discover new definitions of Extroversion and Introversion and how past definitions have been harmful to individuals. Learn a process on how to quickly identify someone else’s preferences – and in just a couple minutes – and how this will transform every one of your relationships. Identify triggers that have contributed to hindering your ability to engage and build relationships with others and affected your success. Find out what motivates but also upsets others who are different than you and what to shift in your approaches to better serve, support and lead others. Finally, document an Action Plan to implement this information in your life and for the clients you serve. Have fun during the sessions in a safe, supportive learning environment. Webinar #2: What Is Your Leadership/Personal Style? Learn about independent research that has confirmed that it is IMPOSSIBLE to choose a career path, build relationships, lead others, or realize your potential without this one piece of personal insight. Prior to the session each participant will complete the Online Personal Style Indicator©. Participant information will be shared with CRG Consulting for the deployment of the assessment tool. What would it mean to have your clients become aware of the impact of theirs and others behaviours is having in the environment. Ken Keis, PhD, is a foremost global authority on behavioural assessment strategies and processes, and an expert in leadership, purpose and wellness. 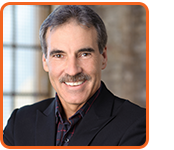 An internationally known author, speaker, trainer and coach/consultant, in the past 29 years, Dr Keis has conducted more than 3,000 presentations and 10,000 hours of consulting and coaching. He is the author of Why Aren’t You More Like Me?™, Deliberate Leadership, and The Quest For Purpose! Bestselling authors Kenneth Blanchard, Jim Kouzes and Marshall Goldsmith have all endorsed Ken’s work. He is President and CEO of CRG Consulting Resource Group International, Inc., founded in 1979, a global resource center for Personal and Professional Development. Over 1 million people in 30 countries and 12 languages have engaged CRG processes to Enrich Their Lives. Dr Keis has an MBA in International Business and a PhD in Leadership and Management. He is a passionate presenter and much sought-after TV and radio guest. He also hosts the Secrets of Success Podcasts. His passion is sharing CRG’s unique developmental models to assist individuals, families, teams and organizations to live On Purpose!